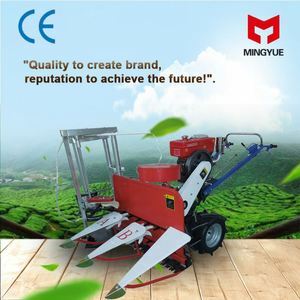 energy saving used mini rice reaper 4GL80/100/120/150/180/200 4GK80/4GK100 1.Application: harvest rice, wheat, sesame, soybean and forage grass and other individual plant harvesting in plain ,hills, sloping fields and narrow fields. 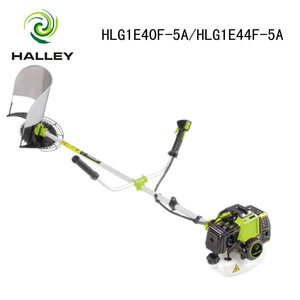 2.Features: Mini-typed, High efficiency, Easy and Convenient; 3.Function: harvesting /cutting, drying; 4.Advantages: simple structure, convenient operation & maintenance, small volume, light weight, less consumption, safe performance, and excellent applicability; 5. Matched power: 7-100hp Reaper head 4GL-80 Cutting width (mm) 800 Stubble height (mm) &ge;50 Spread angle(degree) 90 &plusmn; 20 Lay down form side Productivity(mu/h) 2-3 Matching power 4.5HP-10HP Net Weight(KG) 60 Gross Weight(KG) 90 Package size(L*w*H) 1.1*0.5*0.65 Total loss rate(%) Rice. About 1000 employees Based on the strength of our production the special orders we can meet you , why choice us 1 )Professional supply with certification:CCC ISO CE DOP 2)Perfact quality program,100% test before delivery 3)One year guarantee 4)OEM cervice 5)Price is our big advantage, because we have a very strong production capacity IF YOU HAVE ANY INTERESTS , PLS SEND ME EMAIL NOW! 2. introduction of wheat reaper machine : 1.This machine is mainly applicable for harvesting wheat, rice, beans, and reeds. The big advantage of the machine is safely,easy to operate, easy-moving. 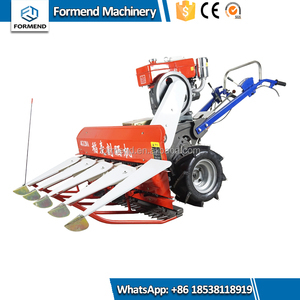 3.The wheat reaper machine is simple structure, strong ability to rake, durable, easy to operate and maintenance. 14 YRS Zhejiang Halley Power Machine Co., Ltd.
1 YRS Yancheng Xinmingyue Machinery Manufacture Co., Ltd. The reaper width has 0.8 meter, 1 meter, 1.2 meters and 1.5 meters. Its transmission gear takes the chains and sprocket wheels. 4. This wheat/rice reaper binder adopts shaft drive, with bigger torque and high efficiency. In addition, it ' s with the advantages of small volume, light weight, flexible performance, simple operation, low batch-cutting, no limit on distance. The Machine could be not only suitable for the harvesting on the big, middle and small fields, but also suitable on the area with inconvenient traffic. Widely applicable to the size of the harvested crop land, especially for the harvest of muddy land. If all the machines are shipped by a full container, the container will be loaded in our factory by our workers. 4. Best service--we will answer your questions as soon as possible and try our best to provide you best service. 3. After-sale Vulnerable parts: offer based on their prime cost during one year. 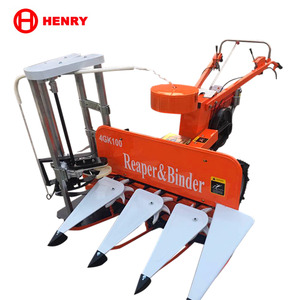 agricultural rice / wheat reaper machine Brief introduction of wheat and rice reaper rice reaper hand reaper has the features of small volume, light weight, flexible performance, simple operation, low batch-cutting and no limit on distance. 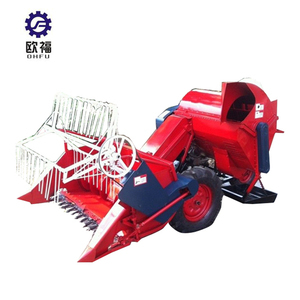 Small rice harvest machine is one kind of man-holding & self-walking harvesting machine. Our small rice harvest machine has the renovatedsurface, strenghtened applicability, improved performance, better reliability and optimized technical structure. Small Size Combined rice harvesters s mall size combined rice harvesters of model MSD-4L-0.5 is mainly used for harvesting rice grain and wheat grain. Our small size combined rice harvesters is special suit for plain and wet paddy field as well as other land, very convenience for farming. 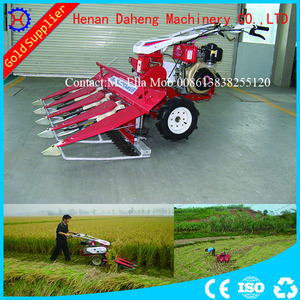 a kind of multifunctional combine harvester, mainly used for harvesting rice and wheat, very convenience for farming. 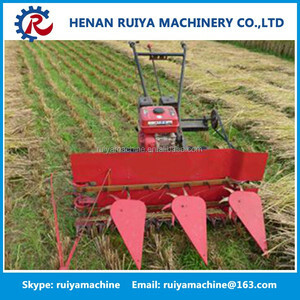 3 YRS Henan Yuer Machinery Equipment Co., Ltd.
5 YRS Shanghai Yingxin World Machinery Co., Ltd.
China made 88HP new rice wheat small mini combine harvester Q2. What is your terms of payment9 A: T/T 30% as deposit, and 70% before delivery. 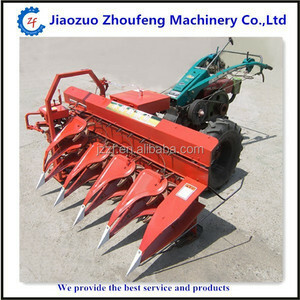 China made 88HP new rice wheat small mini combine harvester Q5. Are you interested in dealership with local company9 A: Yes, we are quite interested in this business. China made 88HP new rice wheat small mini combine harvester Q6. What is your warranty policy9 A: We can supply one year warranty for our machines. 10 YRS Shenzhen Wishope Technology Co., Ltd.
Alibaba.com offers 807 used rice reaper products. About 93% of these are harvesters, 1% are cultivators, and 1% are grass trimmer. 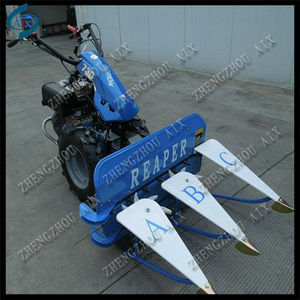 A wide variety of used rice reaper options are available to you, such as corn harvester, grain harvester. You can also choose from combine harvester, mini harvester. As well as from paid samples, free samples. 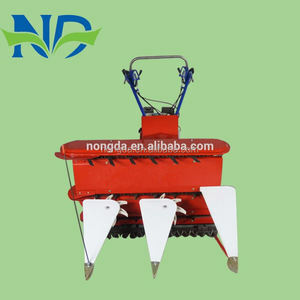 There are 807 used rice reaper suppliers, mainly located in Asia. The top supplying country is China (Mainland), which supply 100% of used rice reaper respectively. Used rice reaper products are most popular in Africa, Southeast Asia, and South America. You can ensure product safety by selecting from certified suppliers, including 169 with ISO9001, 75 with Other, and 51 with ISO14001 certification.